ANT LAW: "Movies", de Life As I Know, Edition Records, 2018. IÑIGO RUIZ DE GORDEJUELA & ADRIÁN FERNÁNDEZ: "M", de Urjauzia, Rara Avis, 2017. GONZALO DEL VAL ELECTRIC QUARTET: "Misery Loves Company", de The Music Of Steve Swallow, Quadrant Records, 2013. WALTER SMITH III / MATTHEW STEVENS / JOEL ROSS / HARISH RAGHAVAN / MARCUS GILMORE: "About 360", de In Common, Whirlwind Recordings, 2018. 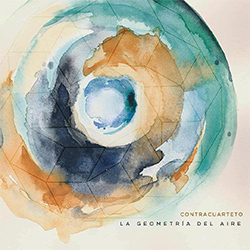 CONTRACUARTETO: "Mister (I) Oso", de La Geometría del Aire, Animales En La Vía, 2018. 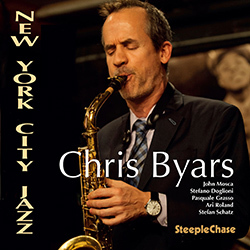 CHRIS BYARS: "Transfiguration", de New York City Jazz, SteepleChase, 2018. 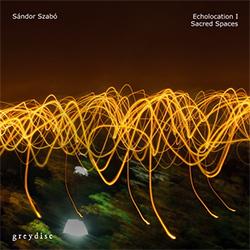 SÁNDOR SZABÓ: "Phoenix", de Echolocation I: Sacred Spaces, Greydisc Records, 2018.